In the market for a Godwin Landscaping Company but don’t know who to turn to? This can feel like a confusing and overwhelming task, that is if you have never worked with the pros here at Ground Pounders Landscaping before. If not, all you have to do is ask around and you will hear the same answer, time and time again. We take great pride in the name that we have managed to build up for ourselves over the past decade and now, let us demonstrate to you just how we earned the impeccable reputation that we have. Too many home and business owners settle when it comes to the company that they work for and, therefore, the results that they get for their landscaping. We offer only the finest in services and results, for both commercial and residential clients and want to be able to extend our services to you. The exterior of your home or business says a lot about you, so do you like that your current landscaping says? Stop putting it off; give us a call today and lets begin taking care of your exterior renovations. Even if you have worked with another landscaper before, why not give us a chance to show you what makes us superior? It is not about bragging or tooting our own horn; our dedication to our customers and to this line of work is what drives us to provide the best results. You are not going to believe the difference you see when it comes to working with a company that takes this field of work seriously, and not just as a side project to another type of work like roofing. We can’t wait to show you in person how we have become the number one choice for this type of work. 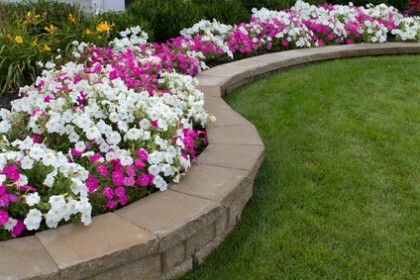 In order to truly provide you with an enhanced backyard, it is about coming up with the perfect landscape design. From there, it is about taking care of the ongoing upkeep. Yet many companies provide just one or the other; we take too much pride in what we do to simply want someone else to maintain it or just leave it to you to try to do. When you want long lasting results that will last for years to come, let us show you all that we have to offer. We also feel it is essential to be able to provide our clients with other services, such as grading and excavation. This is such an important service and one that should only be carried out by trained, experienced and certified professionals. 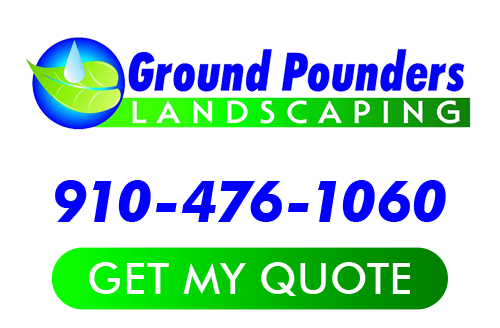 For this and all of your Godwin landscaper services, the only name that you need to know is Ground Pounders Landscaping. If you are looking for a Godwin Landscaping Company then please call 910-476-1060 or complete our online request form.